SOUTH Belfast is to get a taste of Wall Street-style drama thanks to a new stock exchange simulation room at Queen’s University. Currently under construction and set for a mid-April launch, the specialised room – the first of its kind in the North – will become a training ground for future stock traders, offering the excitement of studying real-time stock market data and honing the skills needed to work at the coal face of finance. The new feature of the university’s Management School is being funded by Invest NI and First Derivatives, and is expected to be a lure for international students keen to get a flavour of the FTSE 100 just a short flight from London’s financial heart. 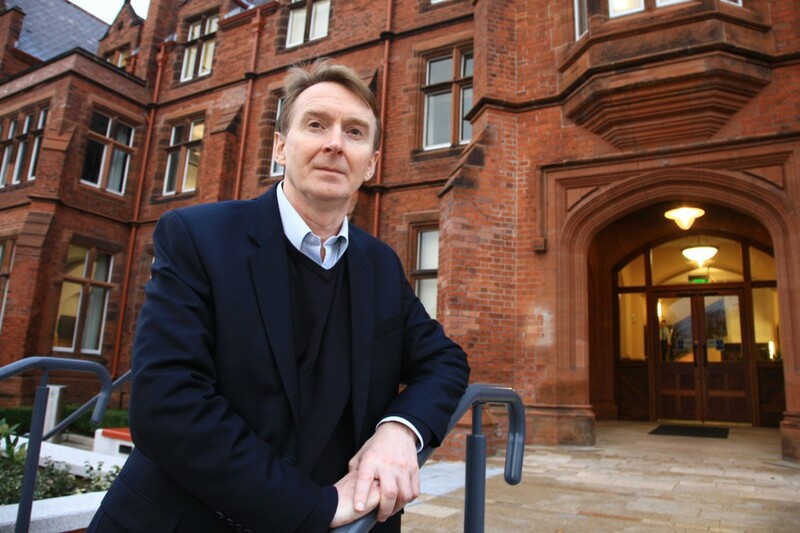 The South Belfast News spoke with QUB’s Professor Donal McKillop, the director of undergraduate finance courses, who described what students can expect when the room at the Riddel campus at Stranmillis is complete and ready to bring them into the world of stocks and bond sales. “A number of universities in Britain currently have these rooms, especially those with close links to the City of London,” he explained. “It’s targeted at undergraduates who are doing BSC Finance degrees, and who do a year’s placement in the likes of Dublin and London. This room will offer a chance for them to get a heads-up on what they will be doing, and give them a taste of the financial environment. “Most modern stock exchanges feature people working behind screens and doing it all electronically,” Professor McKillop continued. “Our facility will have room for 24 students, who will follow the actual Bloomberg data stream as it happens on their own screens. It may only be a simulation, but it will be using real share prices and changes in the market as they happen. It really is an amazing thing to be able to offer finance students, and it’s the closest they will get to the real thing before they go off to work placements and, hopefully, successful future careers in finance.